On Saturday, March 2, 2019, The Community Church in Ada, will be hosting our annual charity auction at the University Club in Grand Rapids, MI. As in the past, The Community will be sharing 25% of its auction proceeds with a local nonprofit organization. 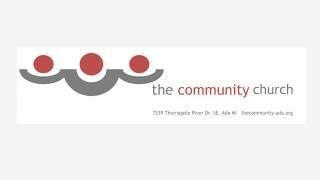 For 2019, The Community has selected The Refugee Education Center as its community auction partner. The Refugee Education Center supports refugee children and families to gain the necessary skills for seamless and successful integration into the community through providing comprehensive educational support and youth development services, along with fostering cultural knowledge and understanding. Our program assists refugee students in grades K-12 with homework assistance, improving reading skills, and preparing them to become successful members of their communities.. Historically, The Community has used auction proceeds to support their ministry programs (local, national, and international), service opportunities and leadership opportunities for youth, personal growth initiatives, and advocacy for justice in the Grand Rapids area. If you are interested in joining us for the evening to support a good cause then purchase tickets using the link at the top of the page. You also have the opportunity to purchase tables (8-top and 10-top) to share the evening with your friends and other guests. The doors will open at 6pm.